Sarah Kliff has covered abortion at Newsweek for two years. 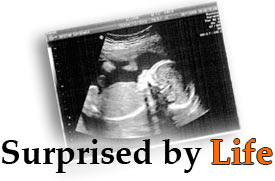 So she was surprised at the discomfort she felt when faced with the prospect of watching an abortion for a story she was doing on Nebraska late-term abortionist, LeRoy Carhart. Kliff spent four days at Carhart's Omaha clinic interviewing patients, hearing their stories and eventually viewing at least one first-trimester abortion. "There was a discomfort I hadn't expected," she said, "my emotional reaction to watching abortions. I had (and still have) difficulty understanding my own reaction, both relieved to have watched…and distressed by the emotionality of the process." It's something many in the pro-abortion camp are reticent to admit. Kliff faced odd reactions when she returned home. "Friends who supported legal abortion bristled slightly when I told them where I'd been and what I'd watched," she said. "Acquaintances at a party looked a bit regretful to have asked about my most recent assignment." "When you come face to face with the violence of what abortion really is," she said, "it can be a different story, as this reporter learned. Abortion kills children, and witnessing an abortion demands a response to that truth." "Abortion involves weighty choices that, depending on how you view it," she said, "involve a life, or the potential for life." Earll said, "The finality of abortion is almost palpable and once it's done, someone has died and you cannot reverse it. That may be what the reporter experienced."